A read-a-thon is a fun and relaxing way to spend time together as a family. It also helps foster a love of reading in your kids. Last weekend we had promised our kids a camp out on the trampoline. So they were super disappointed when a late summer storm rolled in and rained most of the weekend. We still wanted to do something fun as a family but knew we were out of luck for any outdoor plans. Thankfully, rain is the perfect weather for snuggling and reading books together. 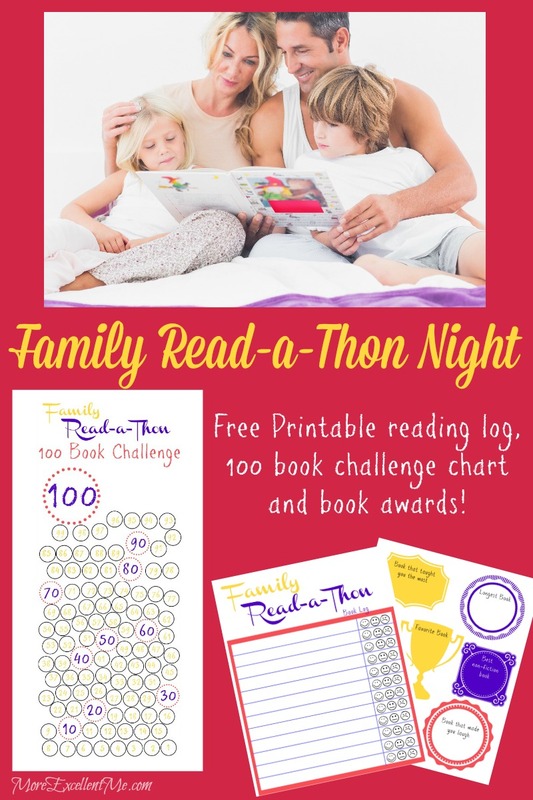 So next time you find your family stuck indoors hold a family read-a -thon night! First, you will want to print out the 100 book reading chart, log and rewards so they are ready to go when you start reading. Next, you’ll want to drag out a bunch of pillows and blankets to wherever you’ll be to make the room nice and cozy. Then bring out a couple stacks of books to get started. Don’t forget a bunch of yummy treats to snack on as you read. Then it’s time to get your read-a-thon started! 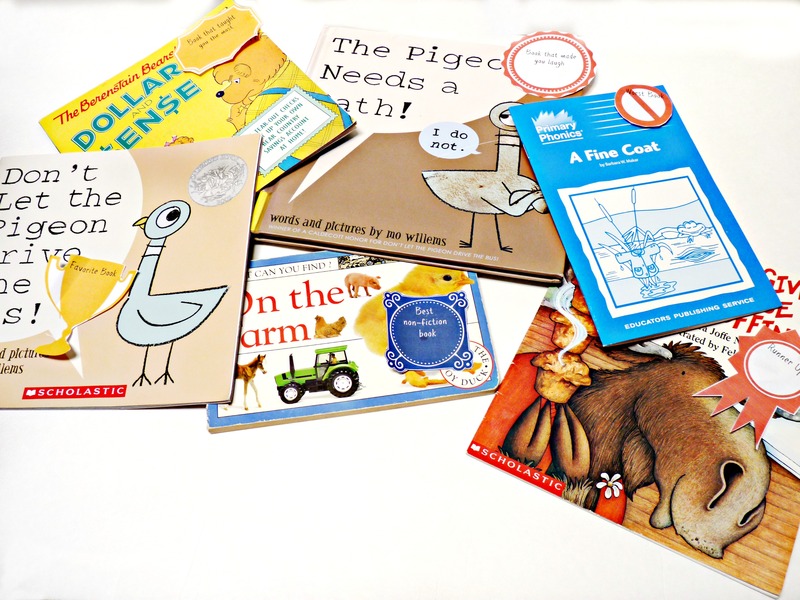 With young kids as you read picture books, your book count will start to add up really quickly. 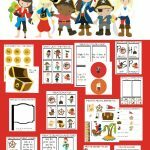 As your children see the number on the chart reaching higher and higher they are sure to start feeling excited and want to reach the 100 book goal. 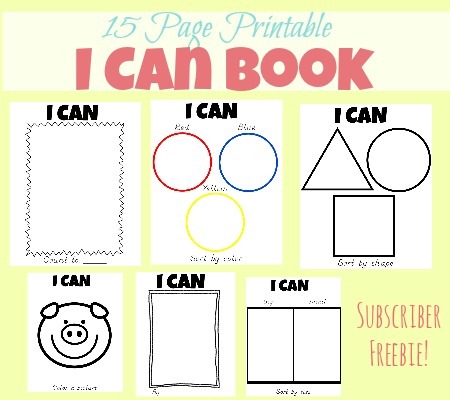 If you have older children who are reading chapter books you will probably want to modify how you track your count. Instead of filling in one space each time a book is completed you could try every chapter or every ten pages. Modify it to whatever will work best for your family. 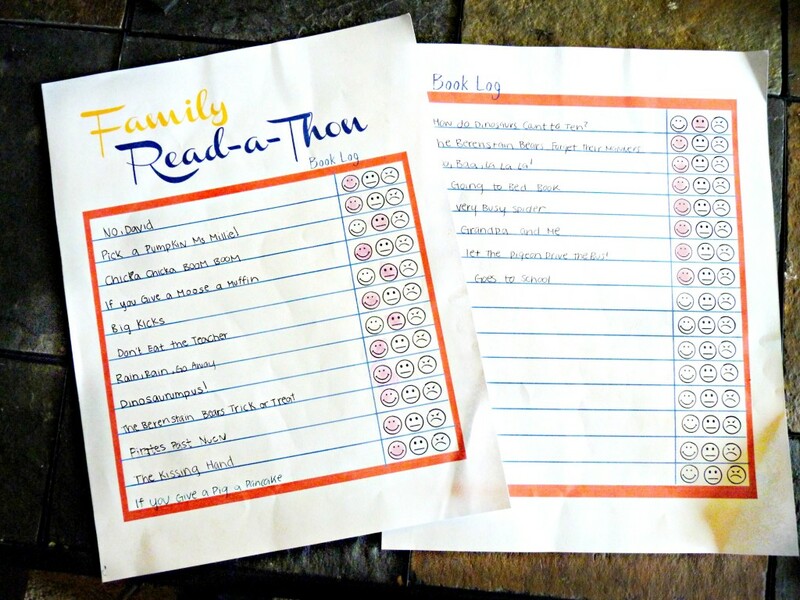 Use the reading log to keep track of all the books you read and if your family enjoyed them. It’s also fun to see when you are done all the books you read together. After finishing, discuss with your family which books you liked and disliked. Celebrate meeting your goal by giving out awards for categories like the best book, funniest book, worst book, most educational book and more. 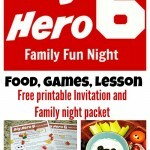 A family read-a-thon is sure to be a super fun a relaxing family night. It’s definitely the perfect way to spend a cold rainy night together. 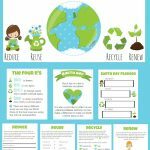 If you would like to hold your own family read-a-thon be sure to downward the free printable pack below. Enjoy! What is your favorite book to read as a family? I would love to hear. Please comment and share!